Need Items shipped to you? Postage will be posted at a later date. 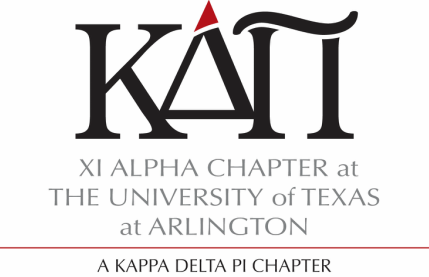 Society Dues: Payment for society dues are paid directly to KDP Headquarters on the Kappa Delta Pi website. Chapter Dues: Payment for chapter dues are paid directly to the UTA chapter. See payment options below. The deadline to apply for this semester has passed. Check back in Spring 2019. 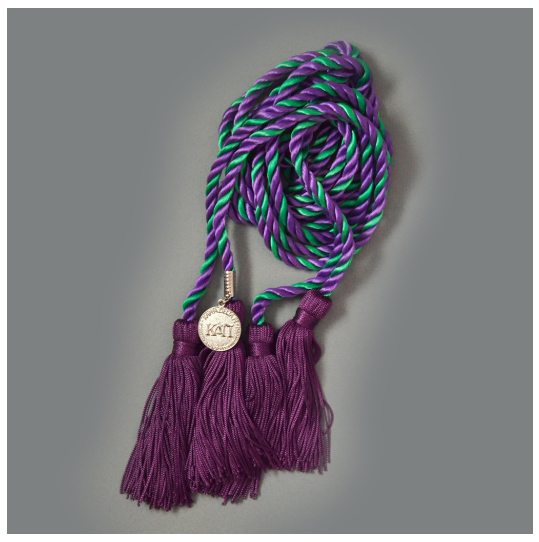 If you are an active KDP member graduating in Spring 2019, you may purchase honor cords through the chapter for a discounted price of $13. An "Active" member refers to your dues status. If you are current on your dues, you may purchase cords through the chapter and receive them during the Spring 2019 ceremony. When cords arrive and are ready to be picked up, you will receive an email. To be eligible to purchase your honor cords, you MUST have accumulated at least 3 participation points. If you are unsure you have the points, email tlittle@uta.edu to ask first before ordering. We have a ‘points system’ which allows students to earn their cords for free as a reward for participating in a large number of activities. You must earn a total of 10 points to earn free honor cords. If you have earned 10 participation points and you are eligible for free cords, please email Teaira (tlittle@uta.edu) so that she can order them for you.